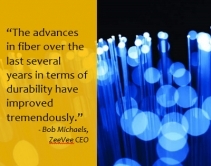 By Robert Archer · February 23, 2018 • Fiber optic cabling beats copper (Cat x) when it comes to long distances, high bandwidth, reliability and future-proofing, but smart-home integrators are hung up on fiber myths and high prices. By CE Pro Editors · September 26, 2017 • Cleerline Technology’s Robert D’Addario discusses fiber’s superior speed, durability and signal quality compared to copper. By CE Pro Editors · September 6, 2017 • Cleerline engineered its line of termination, testing and cleaning kits to make sure every fiber connection meets the highest standards of performance and enhances profitability. CEDIA Q&A: Why Rely on Cleerline Fiber Cables for 4K 60 HDR and HDMI 2.1? By CE Pro Editors · September 2, 2017 • Visit Cleerline at CEDIA 2017 to hear about why fiber is the only fool-proof method of moving 4K 60 HDR content inside a home or business. 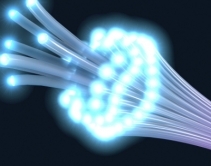 What Makes Fiber Better Than Category Cable? By Advertorial · August 9, 2017 • An integration professional tackles myths and shares first-hand experience that made him a proponent of fiber video distribution over category cable. By Robert Archer · June 13, 2017 • Cleerline leads the fiber optic cable category, followed by Celerity, Corning, Tributaries and Metra Home Theater. Check out the complete list in our 2017 Brand Analysis. 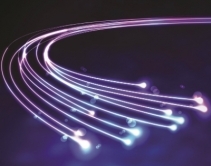 By Advertorial · May 15, 2017 • An increased demand for distribution of video makes fiber appealing to integrators and customers, so here’s a case for the benefits of fiber over Category cable. By Advertorial · May 1, 2017 • ETechA is determined to help dealers deliver full, uncompressed digital video, including 4K with HDR, to residential and commercial spaces.